Best Produce Int. UK is fully committed to sustainable agriculture through global good agricultural practices. As a result, our special expectation of this Abu Dhabi Declaration is to see ‘Clear definition of the goals, what is expected of small-holders from the emerging markets such as Africa, and to ensure impact assessment is carried out after few years. 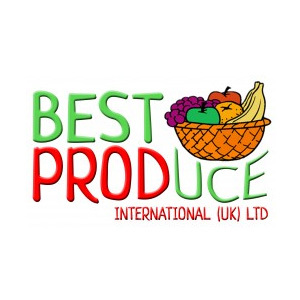 Best Produce International (UK) Ltd is a Management Consulting firm with highly skilled professionals who have several years of experience and expertise in Project Management, Quality Improvement of Agricultural Produce, Supply-Chain Management, Export Promotion, Product Sourcing, Product Design and Packaging, Training and Capacity Development, Needs & Risk Assessment and Management, and Health and Social Care Service Development. Best Produce is a GLOBALG.A.P. Licensed Farm Assurer, which enables us to offers technical/expert support to producers and exporters in achieving GLOBAL Good Agricultural Practice Certification processes and gaining market access entry into the international market arena.